The book is moving forward, so we cannot publish new pictures and essays at this time. But, here are two never-before-seen pictures from the book showing Jews boarding and disembarking from the USS Tennessee after their expulsion by the Turks in 1915. Stay tuned for information on the book's publication. 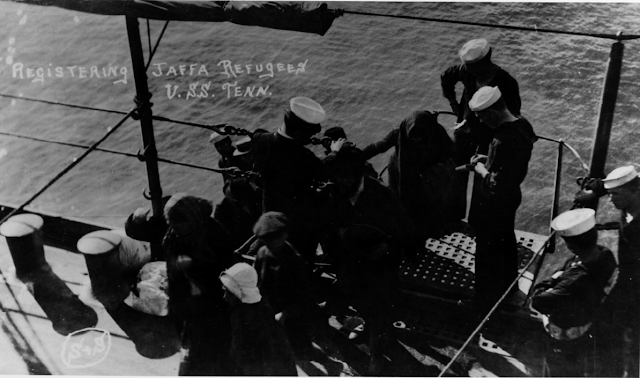 Jewish refugees boarding and registering in Jaffa. 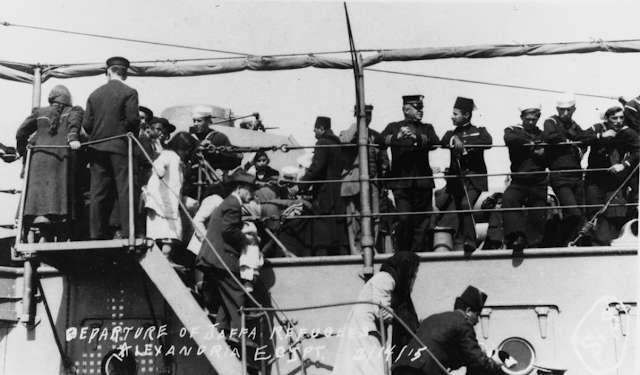 Jewish refugees disembarking in Alexandria Egypt.